Campbell and Kilgallon – latest Toon transfer targets. | NUFC Blog. The right Magpies this time? 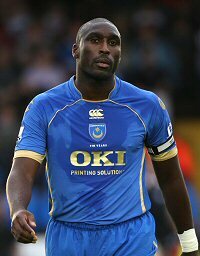 Sol Campbell fancies a move to Newcastle United but may be too costly for Hughton. However Matthew Kilgallon looks like a more affordable target. “I have been approached by several clubs and, yes, it is correct to say that Newcastle United are one of them. “People might be surprised to hear me say that I would be very interested in a move there, but I have my reasons. “Newcastle are a big club and could be heading back to the Premier League. It appeals. If we can sort it all out at the tribunal I would hope to be playing within weeks from now. So it seems we’re interested in taking him on, although I can’t imagine he’ll come cheap. This poses a problem for Hughton because the last thing we need is another high earner to add to our already ludicrous wage bill. At 35 Campbell is obviously not the sort of player Hughton would see as a long-term solution anyway but, who knows, maybe he can get Campbell to join on a meagre enough wage for the whole thing to make sense in terms of our promotion push. I believe he turned down an offer of £15k/week from us before joining Notts County. Another player recently being linked with the club is Matthew Kilgallon. Hughton attempted to sign the 25 year old Sheffield United defender during the summer and is reportedly considering another attempt in the January transfer window. Kilgallon is out of contract with Sheffield United next summer and no new deal has so far been struck. But Sheffield United have conceded 16 goals in their current 6-game win-less streak, which is probably not the best marketing Kilgallon could have although it could be encouraging news for our visit to Bramall Lane on Monday. “Matt was well aware of Newcastle’s interest in August. He sees them as a big club, and can see himself progressing his career at a place like Newcastle. “He feels it is only fair to assess each potential move on its own individual merits and with Premier League interest there as well, it would only be fair to consider every option. Sol back on the radar. stuff campbell. . He went to notts county for money instead of the toon. Now its fallen thro he wants to crawl back. Hes as low as stardust and thats as low as you can get. Saying that, it depends if batty was under or over stardust last night which will determine the lowest creep. Expensive and over the hill. Hopefully we will not sign him. Had enough of big name mercenaries on huge wages. Don’t care……..all we know from the past 2 years is that whatever “final decision” the FCB makes about Campbell or anyone else….it’ll be the wrong one…. When it comes to football decisions the FCB is King Midas in reverse…..
Campbell, in theory, could have been the 2009 version of Killer Kilcline. However, while he’s a much better player than big Bri and his commitment could rarely be questioned back in the day, he clearly hasn’t got the same appetite for it anymore. Not sure it would be money well-spent and it would undoubtedly be a big lump of cash to get him here. To expensive and over the hill. Enough said. If we signed the prat and dickhead that is Chris Morgan, I’d cry. Doocey, congratulations on getting your ‘blog into NewsNow. Cheers Workyticket, I finally got there lol. This ‘blog is going very very strong.